Facebook API Error: (#10) To use 'Page Public Content Access', your use of this endpoint must be reviewed and approved by Facebook. To submit this 'Page Public Content Access' feature for review please read our documentation on reviewable features: https://developers.facebook.com/docs/apps/review. I have had plantar fasciitis for 6 months. I have done all research I could to alleviate this condition, but everything I did, had very limited results. The only method that I did not try to promote healing naturally was the shock wave therapy. My wife separated this place from all others because Health Inside Out is VERY affordable, and I could be accepted without having to get a referral and without long wait times. We were pleasantly surprised by the professionalism and friendliness of the staff. Angelo himself is a brilliant chiropractor; he paid attention to all of the details that were causing my health condition taking a comprehensive approach during the shock wave therapy. Angelo broke down all of my trigger points in the calf muscle as well as scar tissues in my heel. Even though the treatment itself may be unpleasant, it promotes restoration of the fascia and ultimately, delivers unbelievable results. I received five sessions and my heel feels 80% better. I was diagnosed 19 months ago with torn gluteal muscles, trochanter bursitis with tendinosis, and a labral tear along with some arthritis. The pain was so severe, at times it felt unbearable. I couldn't walk without limping, and couldn't stand from a sitting position unless I pushed myself up holding onto something. There wasn't a single night I hadn't woken up from deep throbbing pain in my hip. I had seen 2 Ortho doctors that suggested a very intense surgery with many months of being on crutches/physical therapy. I already had 7 cortisone shots, 2 bouts of physical therapy, acupuncture, 2 doses of Prednisone, and countless other treatments - nothing worked. One doctor suggested I try PRP. 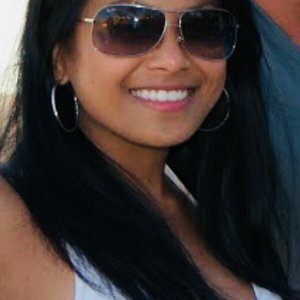 A friend in Denver had basically the same symptoms as I, and she had EPAT (Extracorporeal Pulse Activation Therapy) treatments that worked for her. I did my research and found this facility offering EPAT, and thought, "Well what do I have to lose?" I found Angelo at Health Inside Out and that was the beginning of a very successful journey. The day after the first treatment, I couldn't believe what I was experiencing! I could actually walk without pain and was no longer limping. I've had 6 combination treatments of EPAT along with some other modalities, such as ARP and PEMF. I have not woken up one night with throbbing and the pain is gone. I'm keeping my fingers crossed that this pain-free life will last, but realize I might need a tweak down the road. I'm now back to exercising, which has always been a big part of my life and couldn't be more pleased. Angelo is so very knowledgeable and knew exactly what to do for me. I'm so impressed with this facility and have recommended him to many of my friends. Every day I silently thank him for helping me. Thank you, Angelo, from the bottom of my heart. I have been coming to this one of a kind healing center since it was originally called Ilumina Heath. Angelo is a healer, no matter what your ailment is. 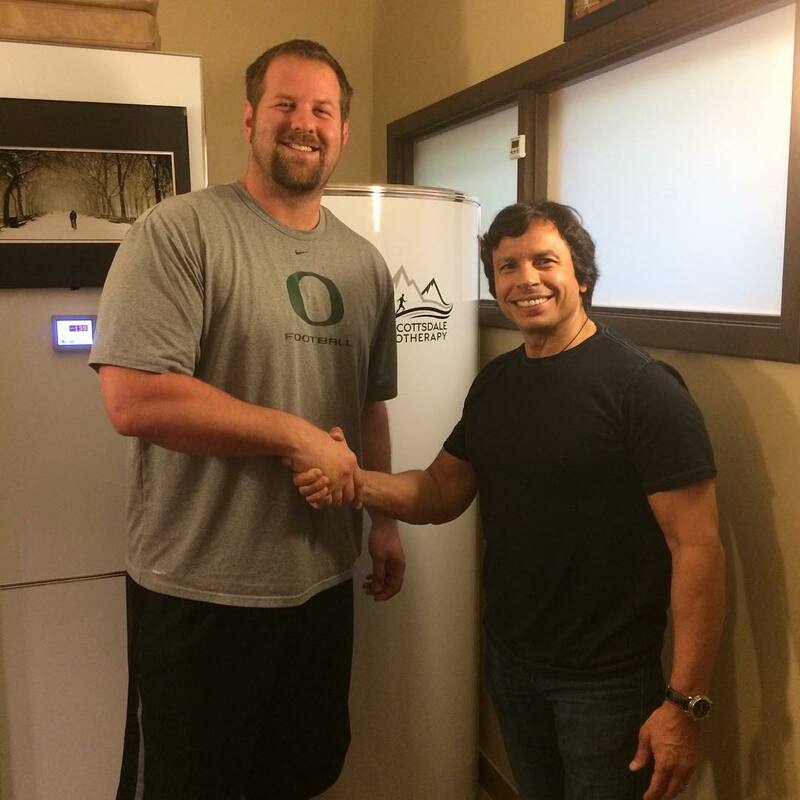 If you are active with sports, working out or exercise, Cryotherapy will help speed your recovery and heal your aching body. 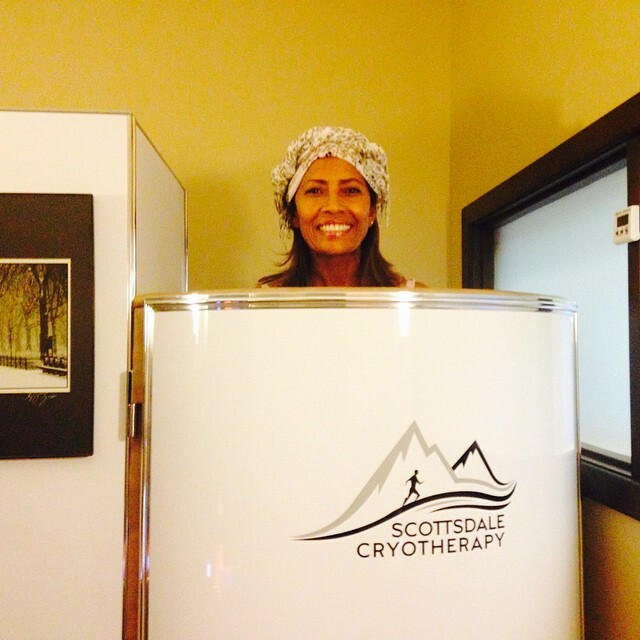 I do Cryotherapy in combination with Photon Genius and/or Pulsed Electromagnetic Field (PEMF) Therapy. This combo is great for reducing inflammation in the body, accelerating healing in the body and calming your autonomic nervous system. I recently prepped for high altitude skiing by doing Exercise with Oxygen Therapy (EWOT). I was amazed how great I felt skiing and how much more stamina I had from doing EWOT sessions before my trip. If you have never been to Ilumina Health and now, Health Inside Out, start with a consultation with Angelo or go for any of the treatments I mentioned, EWOT, PEMF, Cryotherapy or Photon Genius. It will be life changing to your longevity and health. My son's physician had us find a place that does magnetic field therapy. We found Illumina Health and what a difference the therapy made for my son. He hasn't been this good in many years. Angelo is a great guy to work with and very knowledgeable. They have all kinds of fantastic therapies to help a person with health issues. I am so glad we found them. It has made my son's life and as a result mine and my wife's lives much, much better. WOW WOW WOW! Seriously this place is phenomenal! 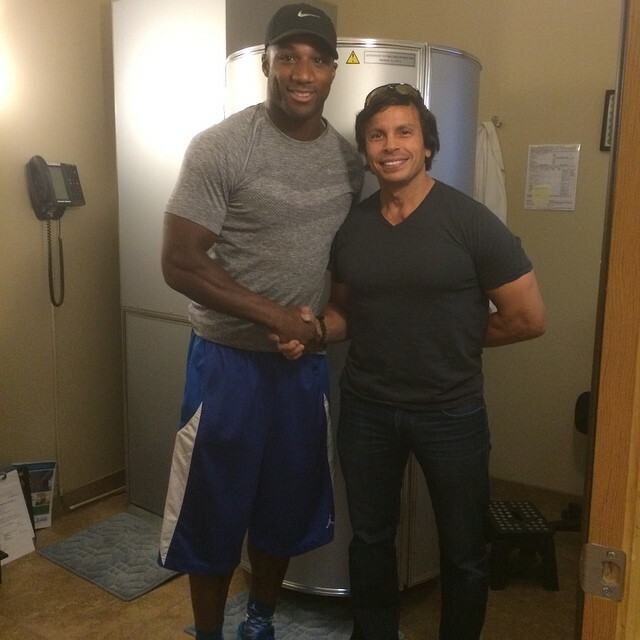 I went here for a quick cryo treatment and received a full tour of the facility and all the AWESOME different treatments they have going on there! I felt so comfortable and taken care of, I really want to go back to experience more. Angelo was so so so nice and made jumping in a chamber at -245 degrees actually a lot of fun! 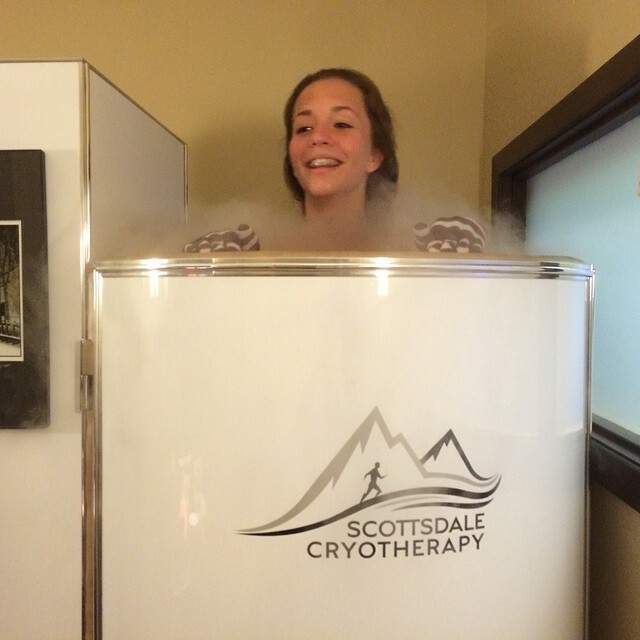 I didn't expect it to be so awesome this is the best one in Scottsdale for cryo for sure!